C. 15940 - entertain on your private extended patio overlooking the bay or stargaze in the evening with the lights reflecting off the water. This home has beautiful views of the water and a spacious and open floor plan consisting of 3 bedrooms and 2 bathrooms. Enjoy the resort lifestyle at the regatta whether you are enjoying the community pool, pool behind your building, grill areas, fitness center, hot tub, gated entry, under building parking, or walking to the beach or boat docks that may be available for purchase. 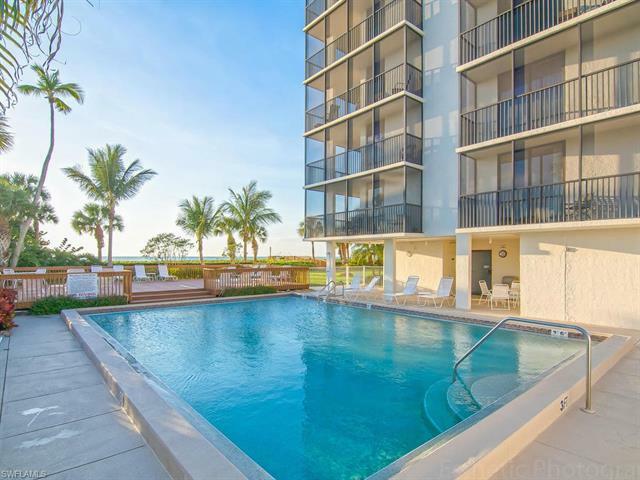 This condominium affords you the ability to walk down the steps from your extended patio and be at the pool deck or downstairs to the boat docks located behind the building. This home is being offered turnkey furnished and has been well maintained. C. 14917 - million dollar views for $ 899,000!!!! Excellent value for a sw exposure two bedroom two bath with full gulf and bay view in a luxury building in pelican bay. Perfect floor height. As you enter you look directly at the gulf. Tile floors ,large lanai , and split bedroom floor plan with enhanced floor plan that adds 100 additional sq. Ft that can be used for extra space (office or den) building offers 3 guest suites, gated entrance at night,front desk staff on the week-days, social room, card room, and fitness facility. Located next to tram station. Easy access to all pelican bay amenities. Lobby and elevator foyers have been completely remodeled in last 30 days. Simply breathtaking! 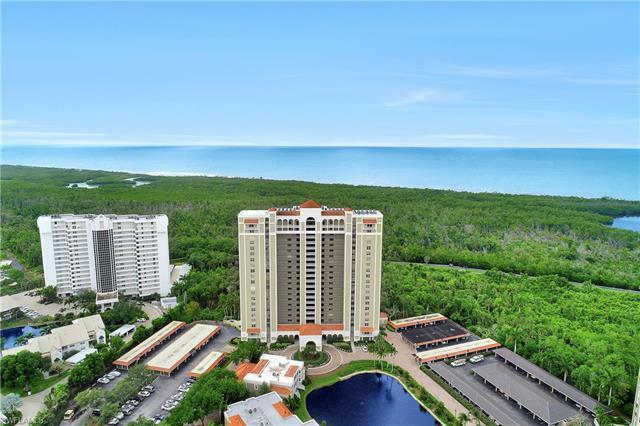 Unobstructed & unsurpassed views of the alluring turquoise waters of the gulf of mexico which are a naples hallmark. When the sun hits the horizon you have witnessed one of the most sacred moments on the gulf and you could have a front row seat from your private 20th floor lanai! !if you're lucky, one day, you'll see the elusive 'green flash. The owners have created a relaxing, serene interior to enjoy the beauty of sunsets every night from your immaculate, tastefully furnished 20th floor condo. Pelican bay is naples premier gulf front community along two plus miles of white sugary beaches! Exclusive amenities for pb residents include a staffed fitness center, 18 tennis courts, 27 hole arthur hills designed golf course, and two private beachside restaurants. Pelican bay is one of the most highly sought after communities in naples! The st marissa is a 21 story high rise in the gated crown colony community only a short walk to the commons and tram. Amenities include a barbeque area, billiard, social & fitness room, 2 guest suites & community pool/spa. Don't delay, call today and buy in one of the most prestigious areas on the paradise coast. This is a true gem! Rare opportunity to recapture the craftsmanship and elegance of europe in this one-of-a-kind small building inpelican bay within walking distance to cultural events, shopping and restaurants. For the discriminating buyer, this over 2500 square feet condo feels like living in an expansive villa with 3 en-suite bedrooms, large living room with huge wood-burning fire place, arched doorways, petite alcoves throughout, three separate balconies, open kitchen and breakfast room. 2 designated underground garage spaces next to the elevator and private storage room. Access to pelican bay's state-of the-art fitness center and tram to pelican bay's exclusive beach and restaurants. C. 15694 - abundant windows and a wall of sliders lend an inviting light and bright ambiance to this first-floor condo. Complemented by its own private terrace that is situated just steps to the community pool, this residence is conveniently close to all the amenities the claridge has to offer. Additionally, beach transportation is just a short stroll away. Volume ceilings defined by crown molding enhance the overall spacious feel of its interior, while wood floors in the bedrooms and tile flooring in the main living areas add a touch of beauty. Upgraded window treatments and plantation shutters offer finishing touches as do stainless appliances. Electric storm shutters give peace of mind. This condo also comes with a very large storage closet located next to the unit. Underbuilding garage parking space #78 is assigned to this unit. There is the option to purchase cabana #1 at the pool as well as garage #2, which is one of only 5 enclosed garages separately from the unit purchase.